In the quest to own the world of Internet content, there has been a huge amount of focus given to the world of consumer Internet content. However, one area has mostly been ignored, which is vertically focus, business-to-business information. Los Angeles-based Aggregage (www.aggregage.com) is looking to help aggregate the content across multiple blog publishing sites, and curate that information into specific, B2B niche vertical web sites. The startup is headed by Robert Flynn--a former VC, and co-founder of Liquid Audio, and most recently head of Modern Feed, the company that is now Clicker--who talked with us about his new company. Roberty Flynn: We are building what we see as the next generation of business to business media. As you're probably familiar with, in the business to business marketing space, print has been the dominant way that vendors communicate with their potential audience. However, as we have seen in the last few years, traditional media has been failing. That is starting to show itself in the B2B space. There are a number of magazine groups that are having financial troubles, the ad dollars are not there, and you're seeing the same problem that you've seen in other forms of media--which is, by the time an editorial group puts together a series of articles to publish, and a magazine comes out, it's 45 to 60 days later and the news is not as timely as it needs to be for the audience. For that reason, more and more content is going online. However, as these are relatively niche focuses, it's difficult for those content providers--often times bloggers--to build an audience. Conversely, it's difficult for a reader to find the material they are interested in. A lot of this comes out of my co-founder's experience, Tony Karrer, and his experience as a blogger. He has been blogging on a number of subjects, for example, eLearning. He found it was difficult to build an audience up, and really looking into the whole search engine optimization necessary for this kind of long tail content. He put together a model for attracting an audience. A big part of that model, is having a wide variety of sources of content, and more importantly than that, is the whole concept of content curation. Over the last year or so, there's been a very dominant theme in aggregation and content. We've built some social curation tools, which use social signaling--tweets, clickthroughs, or comments on Facebook--and take what the network is deciding are important stories, and highlighting those and moving them further up on our site, so that the important stories on any given day are being highlighted. In short, what we are doing is putting together a portfolio of niche oriented, B2B sites, which aggregate all of the most important content around any specific subject matter, and will be monetizing that through a fairly traditional media model. That will primarily be focused on ad sponsorships, and selling advertising via lead generation, CPC, white papers, and so on, to generate revenue. How does the aggregation work--are you working with those publishers? Robert Flynn: Yes. Our model is we don't just scrape their content. In our content hub, we display a headline and a snippet of content. Then, when someone clicks on it, we push them back to the blogger or publisher. We're building a relationship with them, and the key value for them is more traffic. Can you talk about your background, for those who aren't familiar with what you've done? Robert Flynn: I'm actually an LA native. My career in the venture startup world started in about 1984--I'm not a completely young guy--and I actually did about ten years in venture capital. Back in the early days of LA venture capital, I was first an associate of a fund, and then partner of a fund, Entertainment Media Venture Partners. Entertainment is confusing--we didn't make investments in pure content plays. What we did was we owned television stations, radio stations, cable stations. Our largest investment was a partnership with Norman Lear's Act III Communications, we did a series of acquisition in the movie theater space. We build the largest movie theater chain in the U.S. at that time. On the other side, we had about one third of our investments in early stage, technology driven companies. Unfortunately, these were not located in LA--it did not have much of a technology startup culture at that point in time--but, every one of our companies had a product or service they sold into the media or entertainment space. As an example of that, we invested in a company, Integrated Media Systems, with a product called Dyaxis, which was the first digital audio workstation. The target market was initially all of the sound work done in the media space. The CEO of that company turned into a partner of mine, and when my fund was up in 1994, we joined forces and founded a company called Liquid Audio. Liquid Audio was at the forefront of the digital music scene, and we built the first, software infrastructure for legal distribution and commerce of music. We had partnerships with every record label, who understood the value of what we were then calling flash memory devices--what we now call MP3 devices. We built partnerships with Sony, Sanyo, RCA, and Creative Labs. We successfully took the firm public in 199, and ended up selling to Anderson Media, to provide Walmart.com's music service. If you look at those 99 cent deals Apple gets, I'd gone through and negotiated those before. That was based in the Bay Area, so I had commuted back and forth and moved up there. Finally, I moved back, and became the CEO of Zetools. The vision of that firm, if you put yourself in the mindframe of 2001 and 2002, was that the Internet was going to become video driven. Take in mind that at the time, you were talking about postage size stamped videos. But, our vision was the Internet was going to look more like TV, and less like print and graphics, and that tools were required to create time driven, multimedia video experiences. At that time, monetizing by advertising didn't exist, and web developers were having to hand roll those experiences. We successfully built up that firm, and in late 2006 we sold it to Tandberg Television. When we had been at Zetools, we had been thinking about consumer plays. In 2005, YouTube exploded onto the scene, and I took the ideas we had been working on and started--along with J.D. Halprin, a company called Modern Feed. As you know, that has morphed into Clicker. I got that up and running, got a seed financing done, and got the technology built. Once I had gotten that up and going and launched, I decided for a number of reasons to move on. Since then, that company has been able to get Benchmark and Redpoint, and Jim Lanzone is doing a great job with Clicker. How did you connect with Tony? 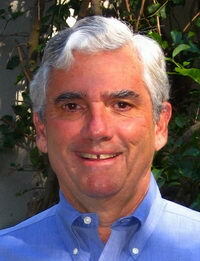 Robert Flynn: I'm a member of a group, the Tech CEO Network, and through John Morris I actually met Tony mid last year. I understood what he was doing, and it fit very strongly into my media background and many of the plays I had done with aggregation. Clicker was certainly about aggregation, and Zetools sold into aggregation, as a toolset for aggregation of content. I got what he was doing, and I spent some time to understand the opportunity. This fall, I decided this would be my principal focus and have become CEO of the company and started moving it forward. We're just now starting fundraising, and have about 10 topic hubs up. Elearning is an example. In the learning space, eLearningLearning.com is the most highly trafficked site in the space. We've already exceeded the revenue numbers in our financial model, which were very conservative numbers, and have already sold sponsorships and advertising. What's the scale out plan for business? Robert Flynn: We're out there doing a fundraising effort, somewhere in the $1.5M plus range. Primarily, what we need to do is to front load some headcount, in order to go and scale up. What we'd like to do, over the next year, is launch 100 to 150 sites. We already have a target list of over 900 topics. When I first spoke with Tony, had had a list of a thousand sites--but if you think about the number of SIC codes out there, there are way more than a thousand. We did our research, and there are around 4,000 B-to-B print magazines out there, so a thousand sites around a niche focus seems plausible, and is a no-brainer. It's very much a low cost model. These things end up becoming profitable on not much revenue. So, funding will enable us to hire people, to go launch a number of sites that we really want to. Is it difficult to find advertisers to match to sites? Typically, ad networks (for example) don't have many B2B advertisers, and issue for B2B publishers. Robert Flynn: That's the beauty of the model. B2B marketers are looking for good way to advertise, and don't have any. You don't see them advertising now, because what good is it for a vendor of technology for the human resources area advertising on MSN, or Icanhazcheezburger? It wouldn't deliver very good results. So, when we go to advertisers, and primarily sponsors--we only have one sponsorship per site--people are fighting to be that sponsor. We're delivering them a targeted audience. It may not be huge--only 50,000 to 100,000 uniques--but, those 50,000 to 100,000 people are the ones that are meaningful to them.